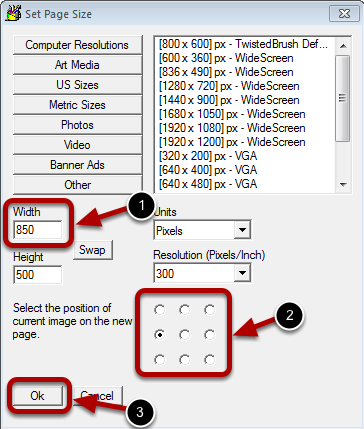 Changing the size of the page (the canvas your image is on) while keeping your image unchanged is possible. 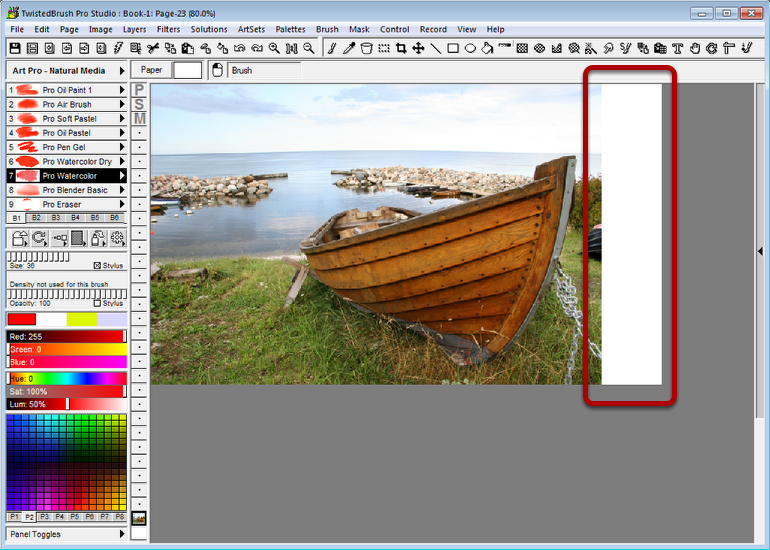 In this topic additional page space will be added to the right of the photo. Notice the size of our page and also notice the image fills up the entire page. This is common for any photo. 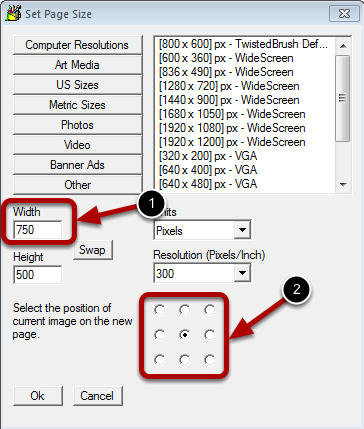 Select Set Page Size from the Page menu. The Width field will be adjusted. The position marker will be set. 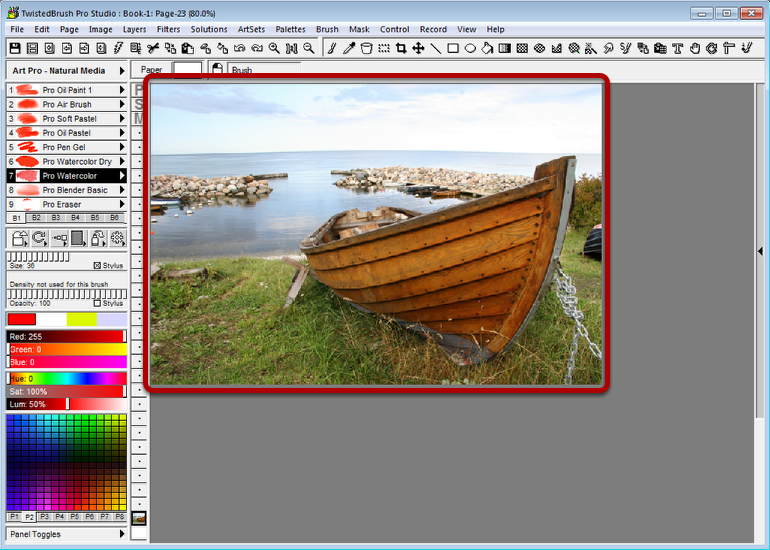 The position marker was set so that the current image will be aligned to the left so that the new page area will appear to the right side of the page. Notice now there is 100 pixels of additional page space on the right side.